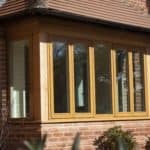 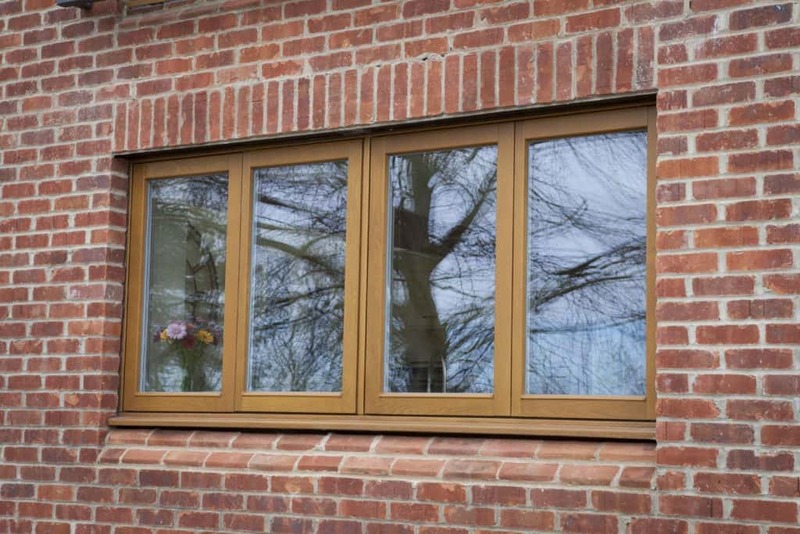 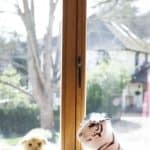 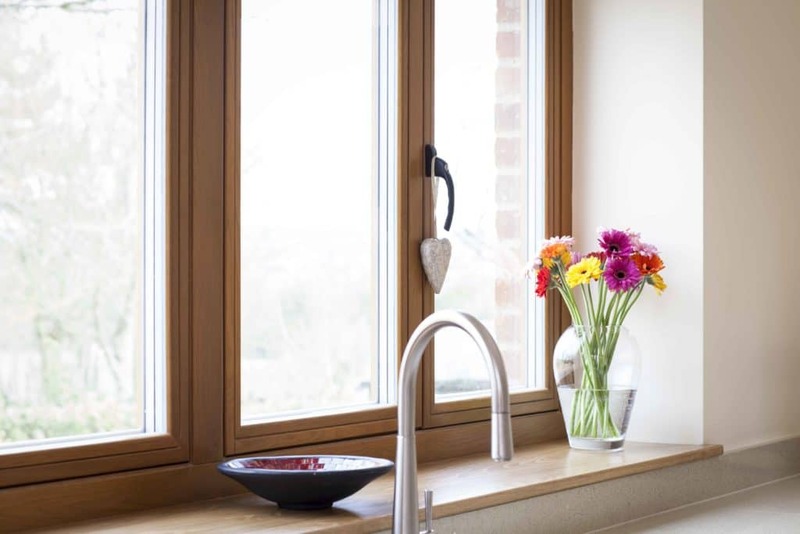 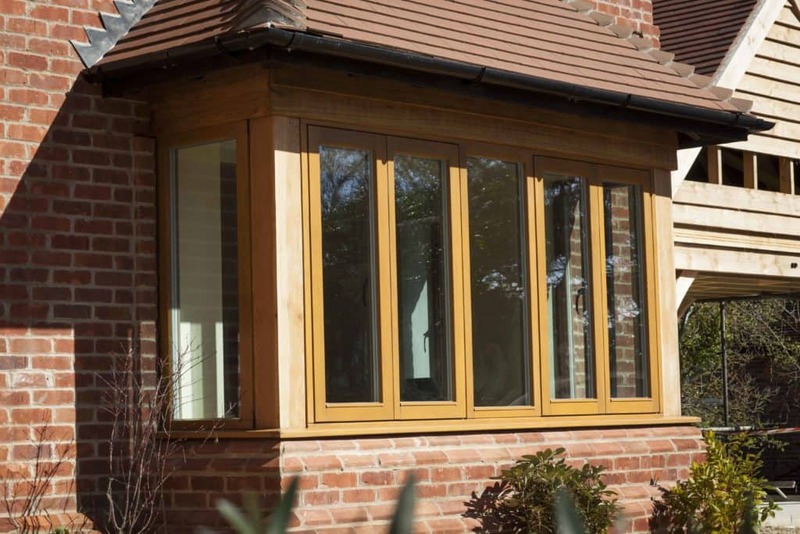 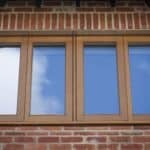 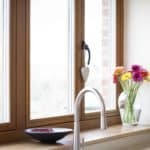 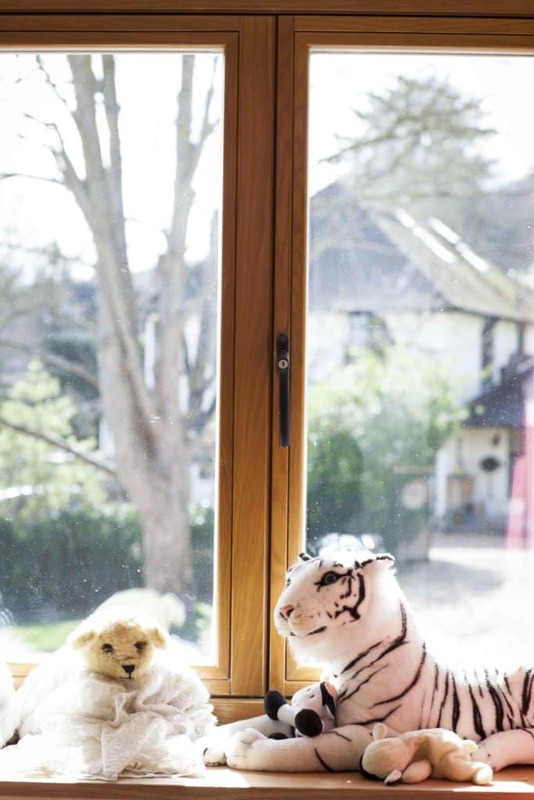 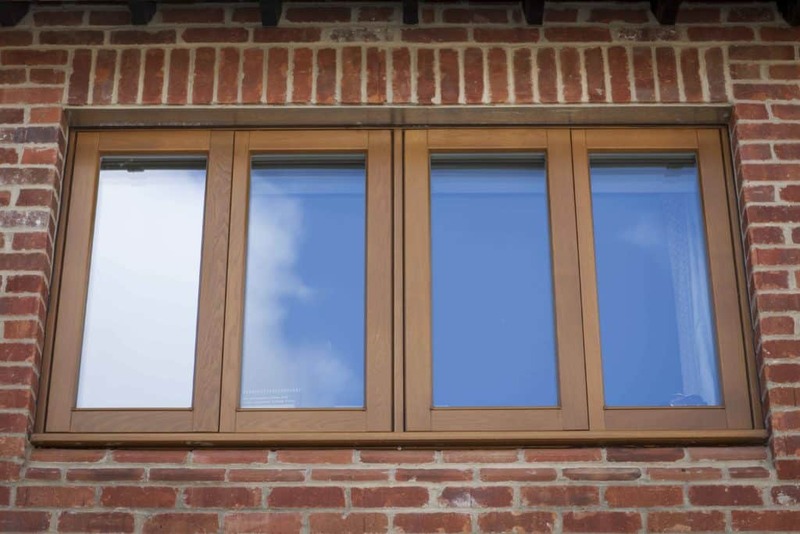 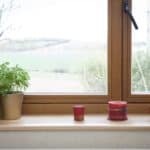 I had always wanted oak triple glazed windows for the self-build and started to research options on the internet. 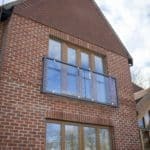 I came across Green Building Store’s website and got a quote for the PERFORMANCE range, which came within our budget for the project. 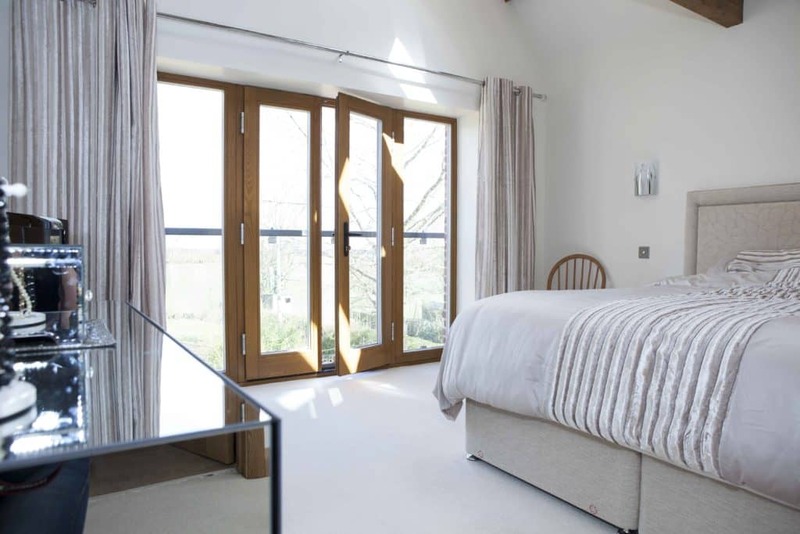 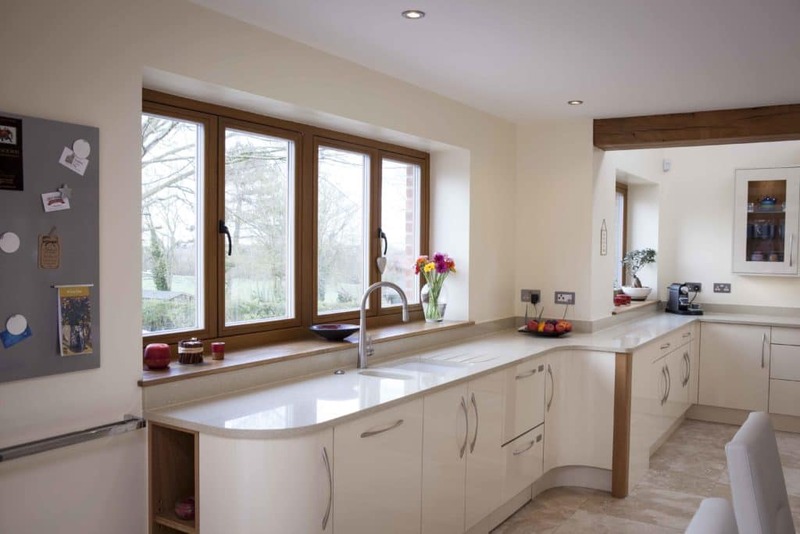 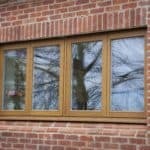 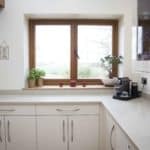 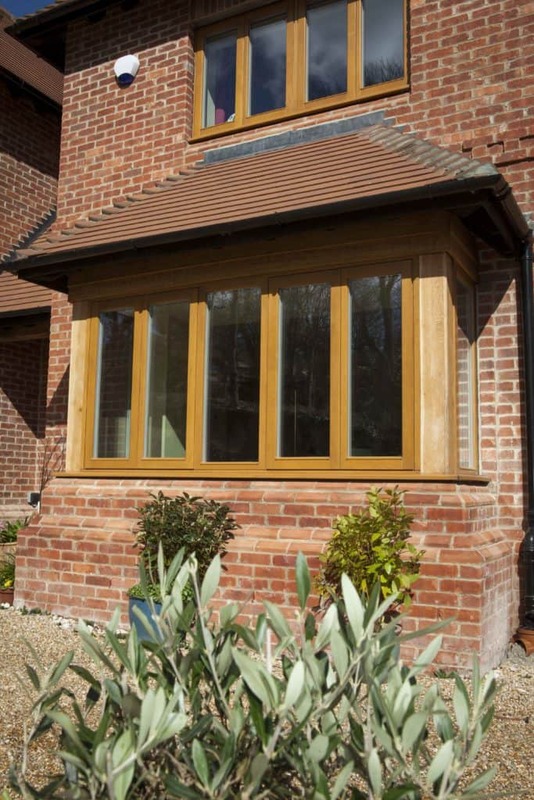 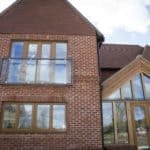 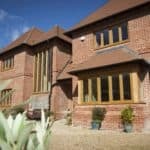 I am very pleased with the PERFORMANCE triple glazed oak windows and doors – it is a quality product. 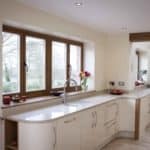 They fit in well with the traditional design of the house, are very efficient and offer a great compromise of form and function. 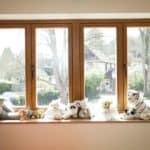 The house maintains a steady temperature of 21 degrees throughout and the windows and doors are really contributing to this. 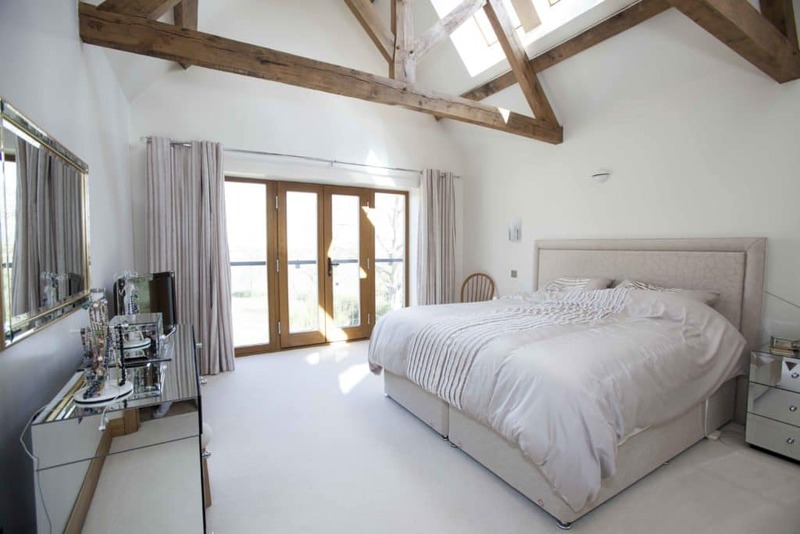 Mick Dowling designed a traditional 4 bedroom house for a self-build project on the site of an old chalet bungalow. 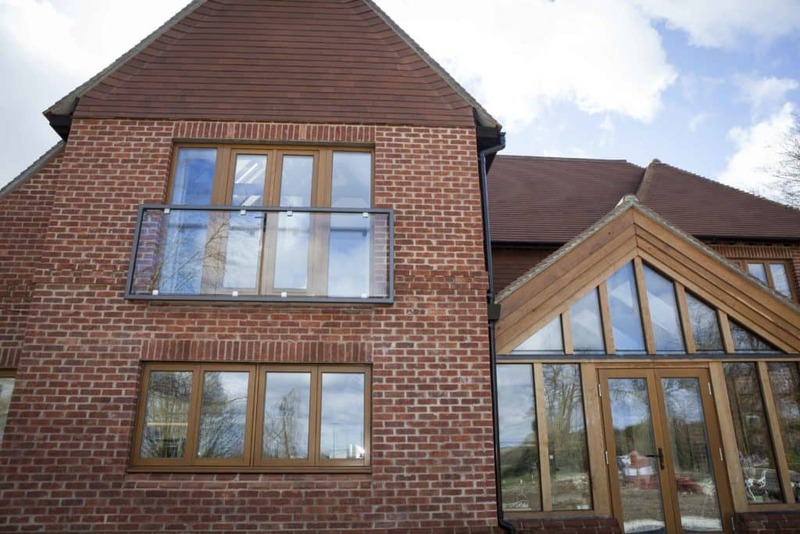 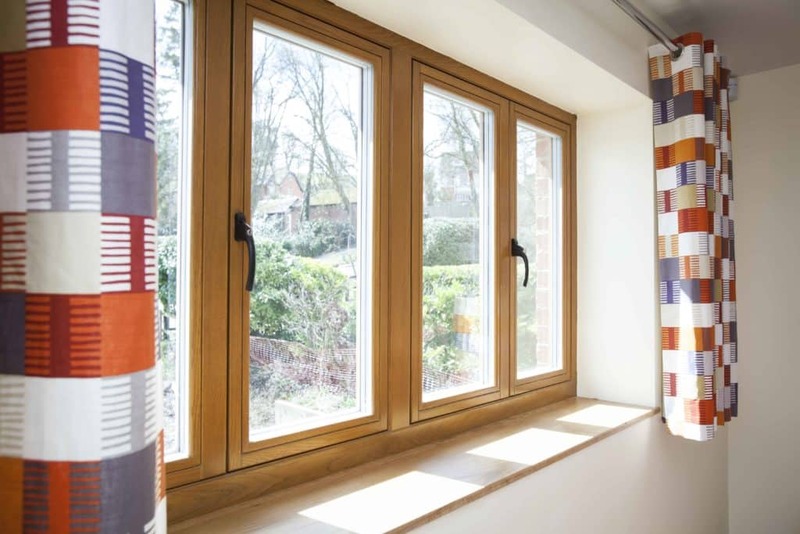 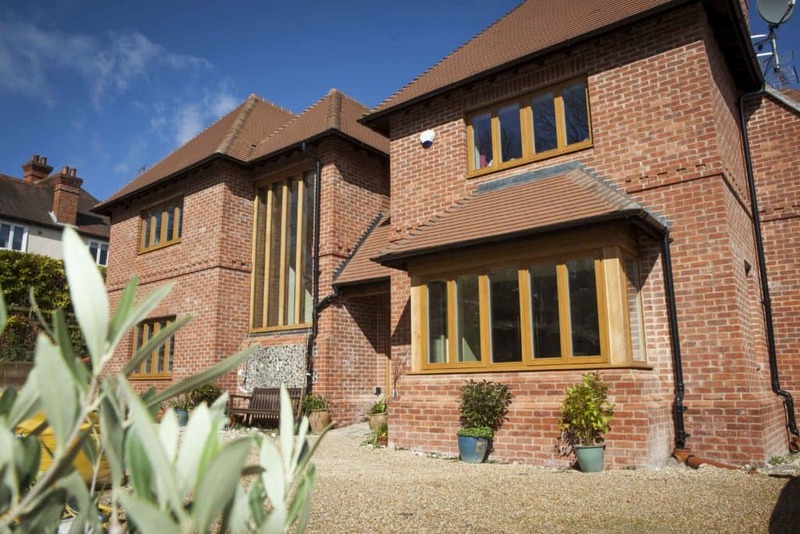 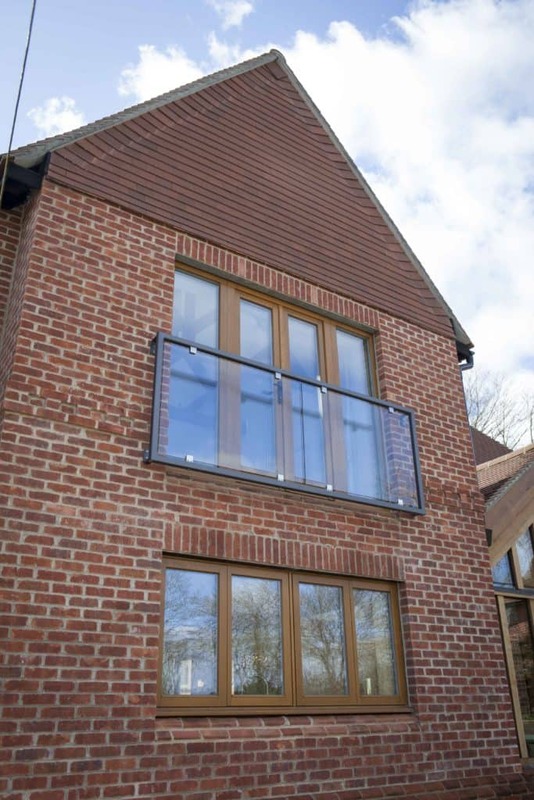 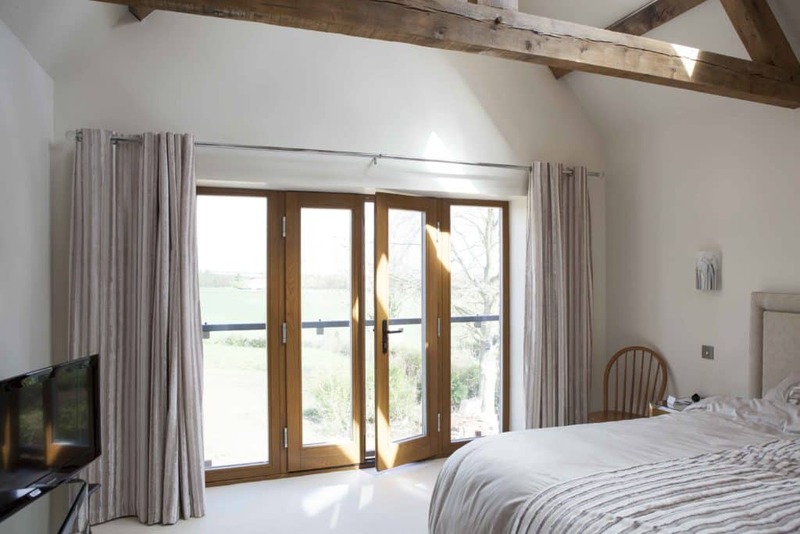 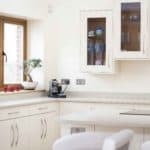 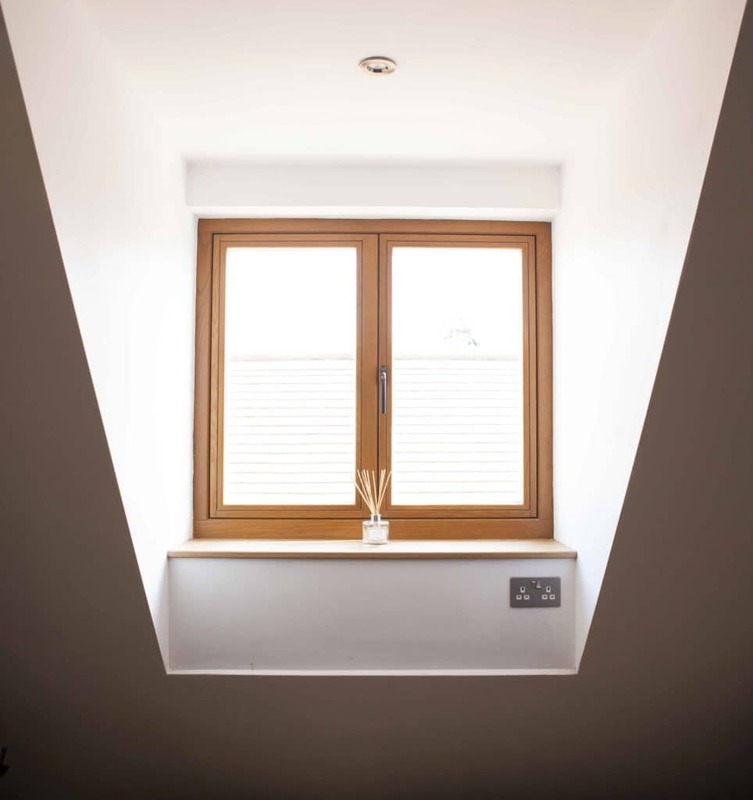 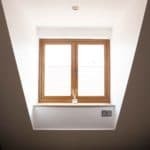 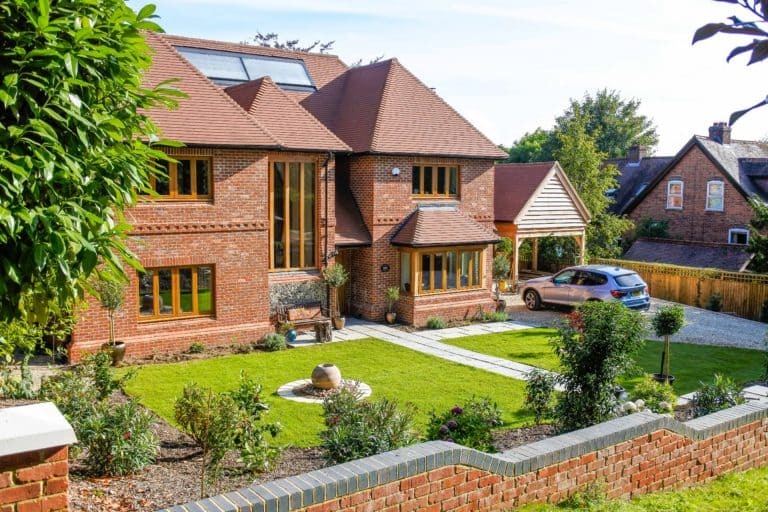 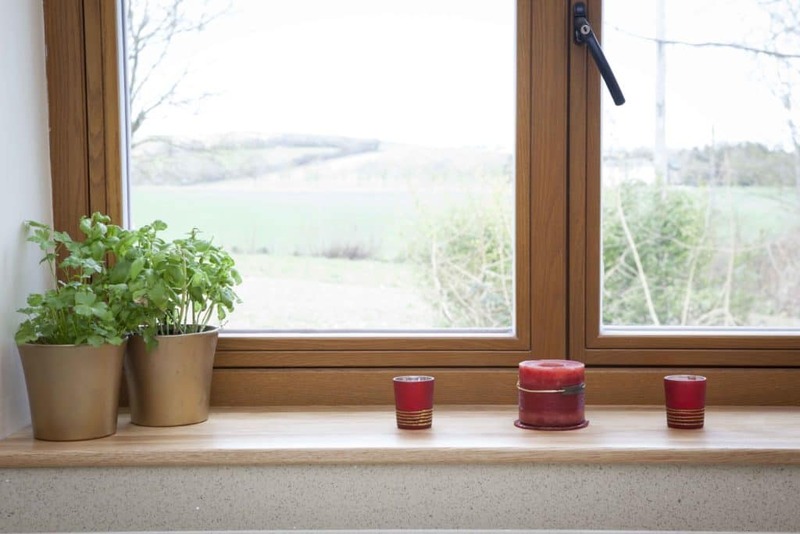 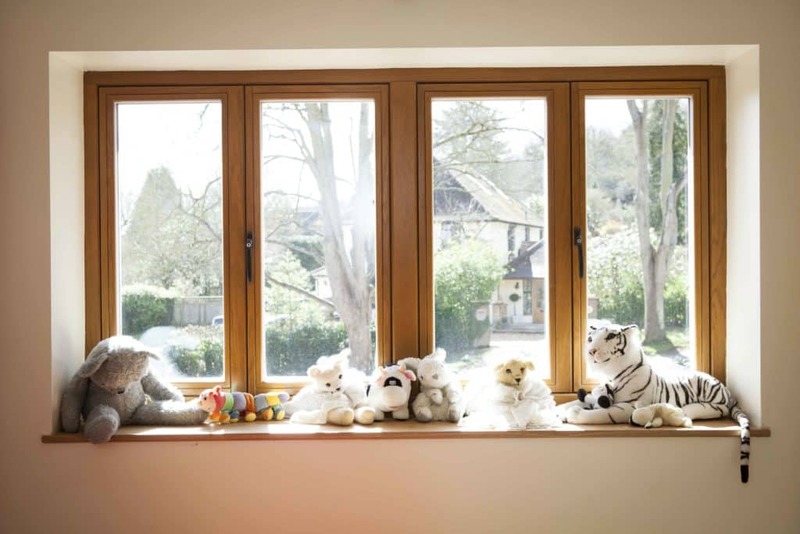 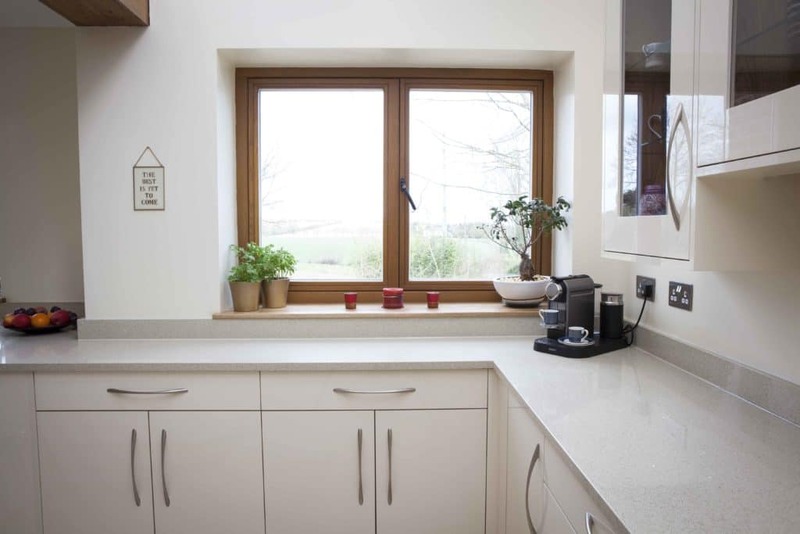 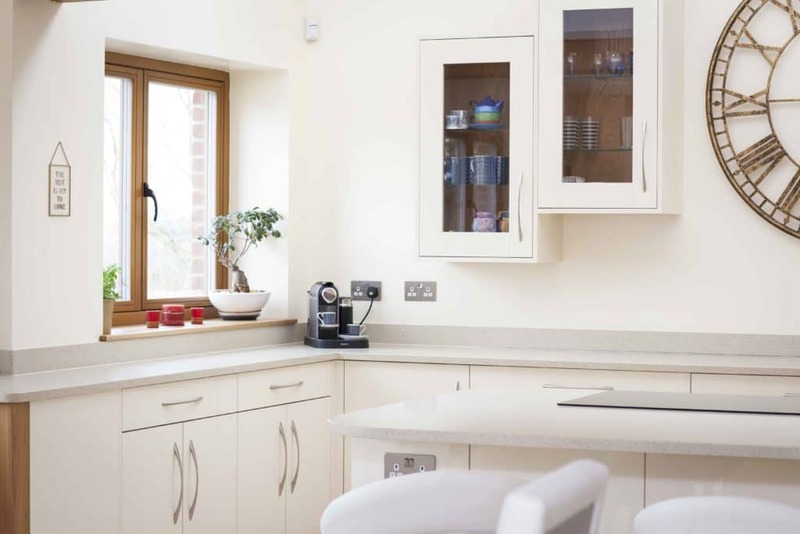 Touchwood Homes and Constructive Individuals designed the timber frame and fitted Green Building Store’s PERFORMANCE triple glazed oak windows and doors and a Paul MVHR system for the project. 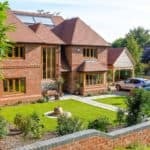 Mick was keen to have an energy efficient house with modern technology and performance while also providing a design which was attractive and consistent with the local architecture . 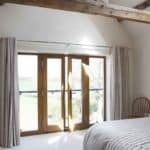 The house is built using I–beam timber frame construction, is insulated with recycled newspaper and achieved an airtightness value of 1.65 m3/ hour/m2. 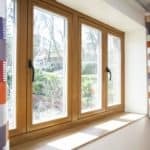 Mick commented: “I had always wanted oak triple glazed windows for the self-build and started to research options on the internet. 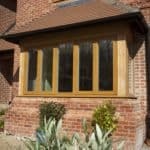 I came across Green Building Store’s website and got a quote for the PERFORMANCE range, which came within our budget for the project”.